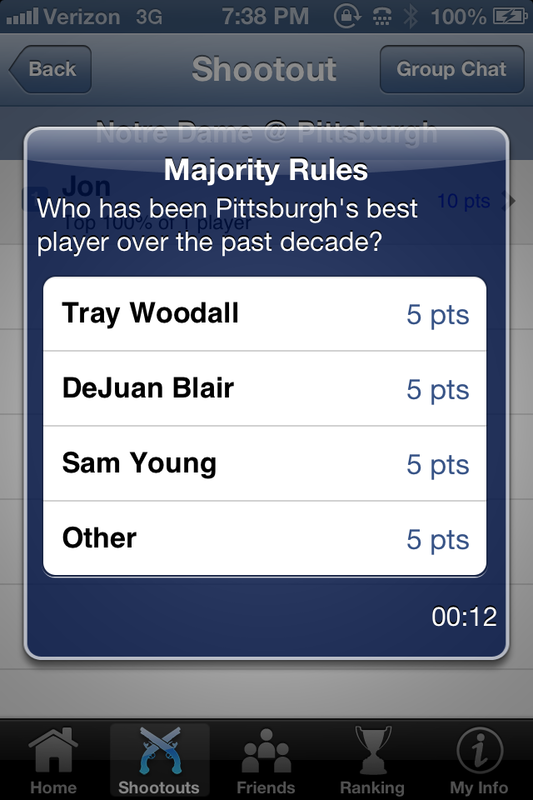 SnapCall: Tray Woodall, an All-Time Pittsburgh Great? Tray Woodall, an All-Time Pittsburgh Great? Over the past decade, Pittsburgh has been one of the grittiest teams in the Big East. While the Panthers have had few elite stars during head coach Jamie Dixon's tenure, they have had several legitimate stars. 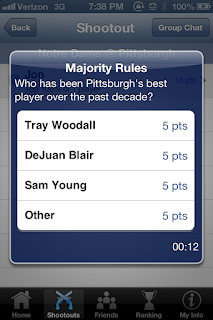 During tonight's Pitt-Notre Dame game, we challenged SnapCallers to choose the best Pitt player over the past decade. We narrowed the list to three players and broadcast the question to the entire TV audience. Remember, Majority Rules means guessing the majority opinion of the audience, not simply responding with your personal opinion. 6-0 Guard from Brooklyn, New York. Of course, Tray Woodall is still writing his story. When this season began, the Panthers were an afterthought. Now, thanks largely to the senior guard, Pitt is ranked 20th in the country. Although Woodall's numbers may not jump off the page, his intangibles solidify his position on this list. The Captain's Award winner is a born leader and his hard-nosed perimeter defense sets the tone for Pitt. 6-7 Forward from Pittsburgh, Pennsylvania. Although the hometown hero has been inconsistent with the San Antonio Spurs, DeJuan's dominance displayed during his days as a Panther still bring back fond memories for Pitt fans. This vertically undersized big man proved that you don't have to be tall to dominate the glass. In his final season at Pitt, DeJuan led the Big East -- and was fourth in the country -- in rebounds per game. His ability to get off the ground quickly allowed for countless second-chance opportunities. In 2009, Blair dominated throughout the NCAA Tournament. Ultimately, his stock rose and he chose to take the leap to the NBA after just two years at Pitt. 6-6 Forward from Clinton, Maryland. Here we have another player who dominated the 2009 NCAA Tournament. Right up to the Panters' Elite Eight loss to Villanova, Sam Young was nearly impossible to contain on either side of the court. He averaged 19.2 points and 6.2 rebounds per game that year, his last in Pittsburgh. However, Young's most notable attribute was his on-ball defense. Night in and night out, Young locked down the opponent's biggest offensive threat. Even now, Young has carved out a role in the NBA as a reserve defender, currently with the Indiana Pacers. Honorable mentions: Aaron Gray, Levance Fields and Ashton Gibbs. Have an opinion? Tweet us @SnapCallSports or download the app for free from the App Store.